Mom was always one to plan for holidays months before they arrived. Christmas started in July with all presents purchased and wrapped by mid-October and the tree up the day after Thanksgiving. Easter preparations began on Mardi Gras. I don't know how she did it as the holidays always seem to catch me by surprise. So when I craft for them, I make items that take only a few hours to complete. 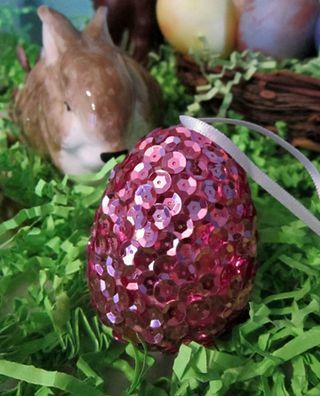 This blinged out egg is perfect. 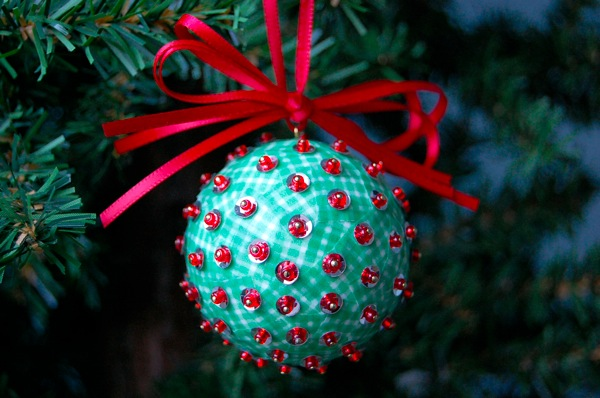 It adds sparkle to the usual Easter lineup and can double at Christmas as an ornament. 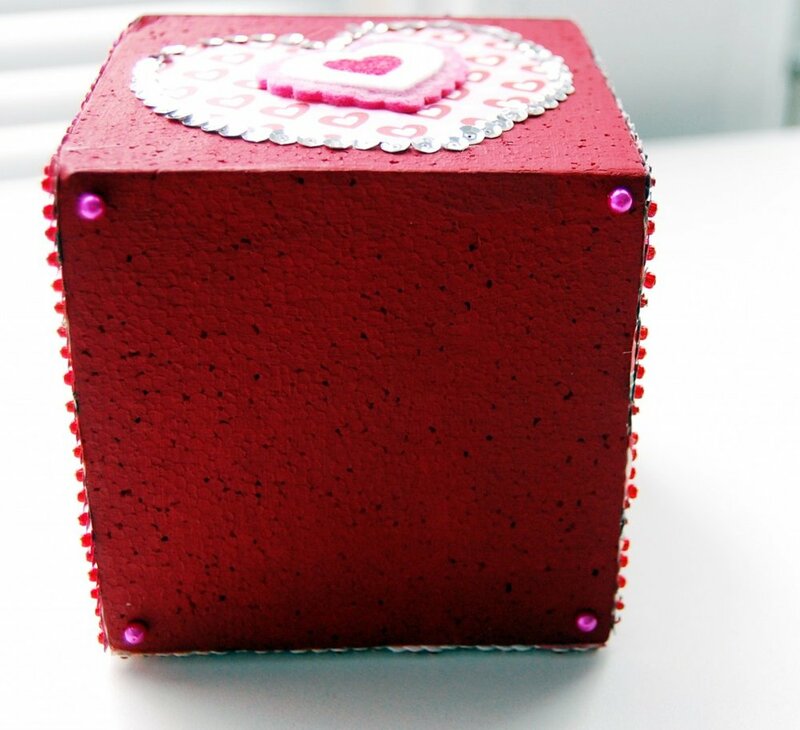 I call that the win-win of crafting. 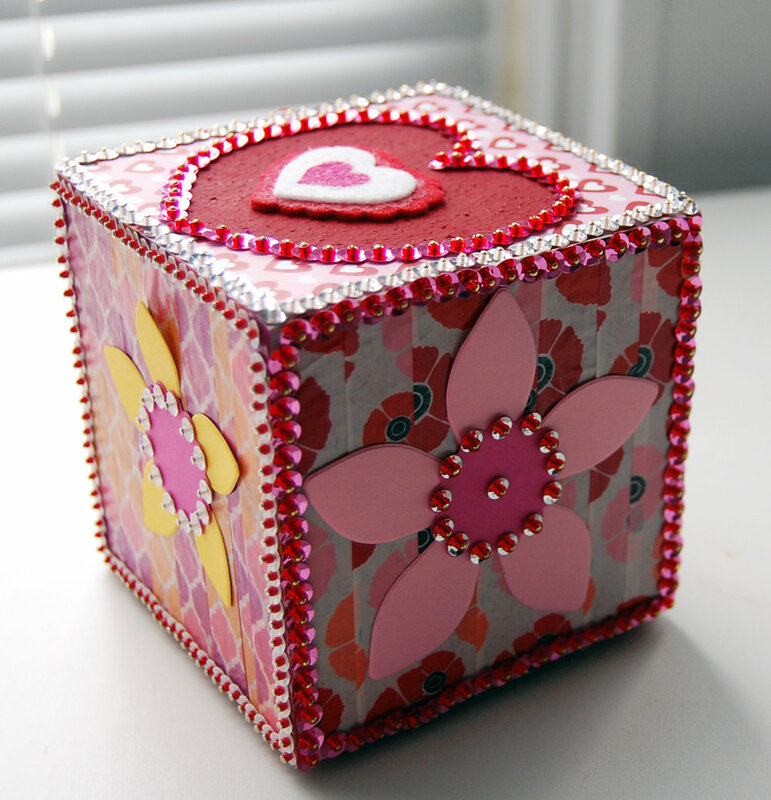 Cut the tissue paper into 1" squares. Pour a puddle of Collage Pauge® onto the foil. 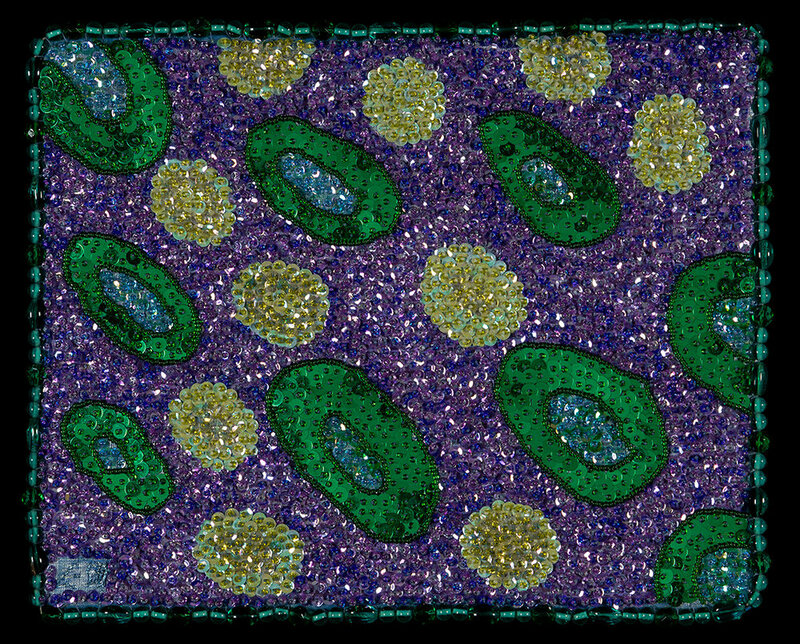 Using the foam brush dab the Collage Pauge® over a portion of the egg. Add a few pieces of tissue paper. Dab more Collage Pauge® across the surface of the paper. Continue to collage the paper in this manner until the entire egg is covered in tissue paper. Allow for drying. 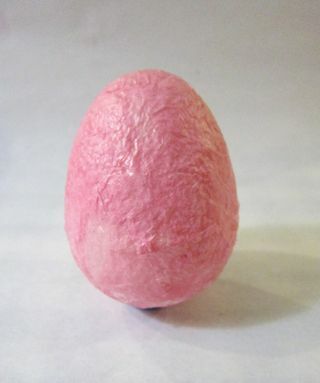 Once dry, push the 2" eye pin into the center egg's top end. Apply a thin coat of Aleene's® Original Tacky Glue over a portion of the egg. Use the side of a toothpick to evenly spread it out. 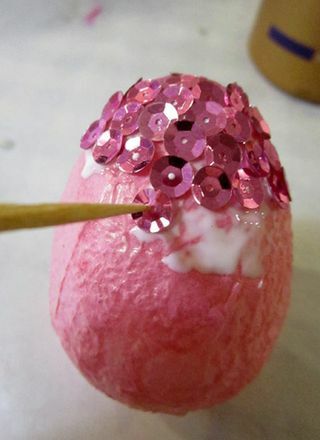 Continue adding glue and sequins until the entire surface of the egg is covered. 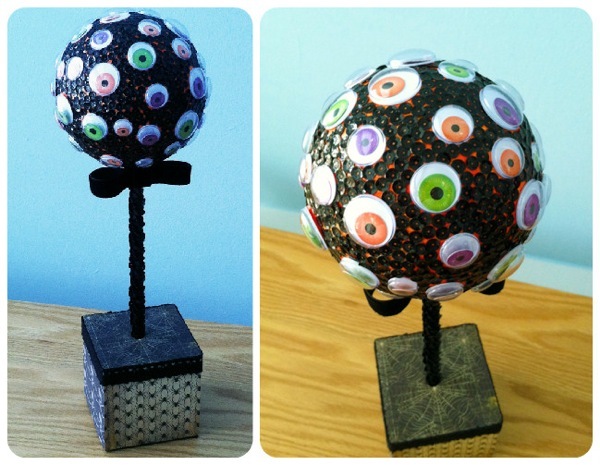 Slip the ribbon through the eye of the eye pin. Pull it through so both ends are touching. 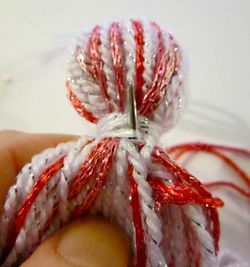 Tie them together using an overhand knot. Give some Easter Egg Bling as a gift, hang it in the window or display it in your favorite basket.